My birthday was this week, and I finally got to open a gift box I had waiting for some time. 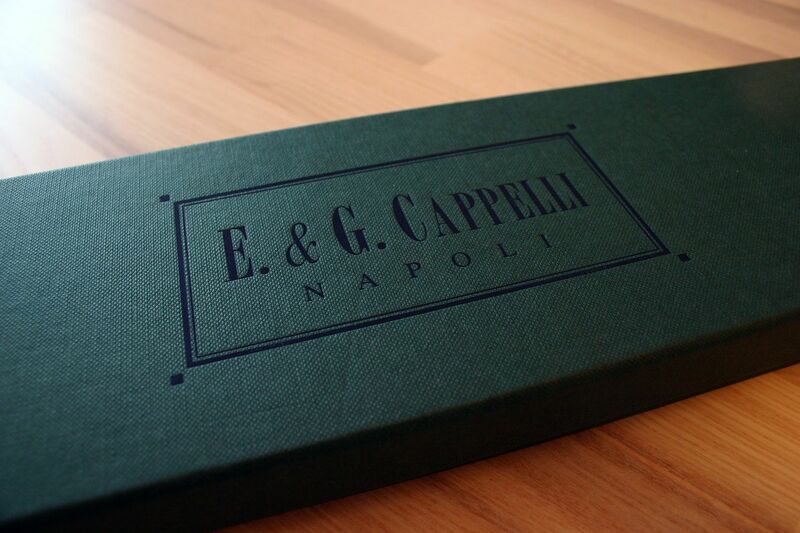 The good woman she is, my girlfriend had got me a made-to-order tie all the way from E. & G. Cappelli of Napoli. I had long been thinking of getting a fine grenadine type of tie from E. & G. Cappelli, but never got to order one. I had also mentioned my lack of green ties a few times, and my girlfriend had taken the hint and got me this. 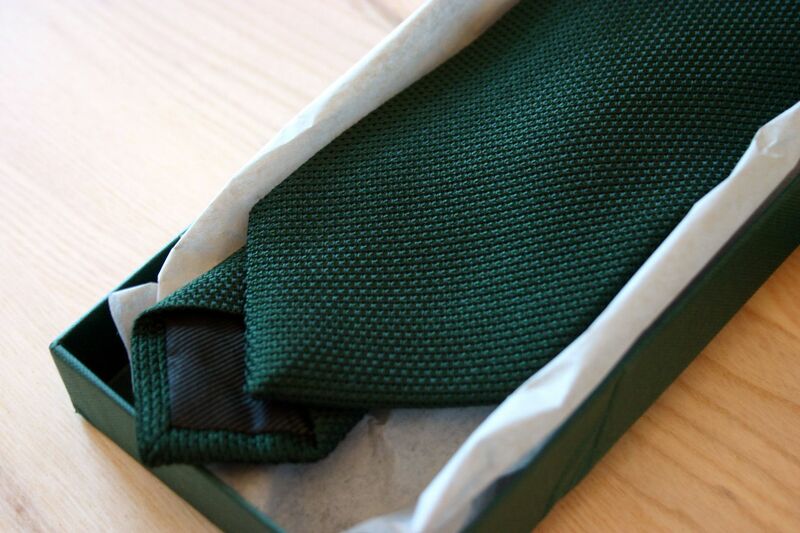 A dark green fine grenadine tie in 8 cm width, just the way I like it. The texture is a lot more to my liking than the normal sized grenadine weave, and I really like the color. This was my first experience with E. & G. Cappelli, and the product seems great. The prices are perhaps a bit steep, but in return you get to spec the material and the dimensions making it a rather good deal (if they have the fabric you want). As a present it is definitely a good choice for anyone from a friend, relative or even a business contact that appreciates the finer things.